That stylish and sophisticated luxury vehicle you’ve been dreaming of parking in your driveway is waiting for you at our BMW dealership near Queens Village, NY. All of our retired service loaner vehicles are available for special lease programs. Find great savings and value when you take delivery of one of these like-new vehicles. 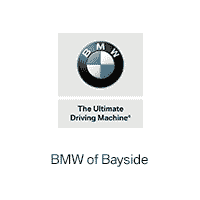 BMW of Bayside has a large inventory full of premium pre-owned BMW vehicles which offer world-class luxury at enticing price points. Take advantage of our special Loaner Lease Pricing! Don’t see something you like? We have several vehicles to choose from and some may not be listed. Please call or email us for more details. Looking to purchase a demo vehicle? Click here for our loaner demo specials!